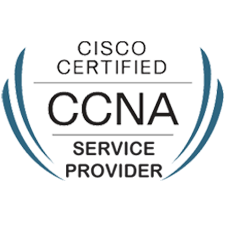 Institute of Information Technology is honored to be an authorized CISCO Network Academy Training Institute. CISCO is the worldwide leader in networking. CISCO has shaped the future of the internet by transforming how people connect, communicate and collaborate. Today technology, networks are an essential part of business, education, government and home communications, and CISCO Internet Protocol-based (IP) networking solutions are the foundation of these networks. CISCO hardware, software, and service offerings are used to create Internet solutions that allow individuals, companies, and countries to increase productivity, improve customer satisfaction and strengthen competitive advantage. Since inception, CISCO has helped to change the way the world works, plays, lives and learns. CISCO has created solutions built on intelligent networks that solve the challenges that companies are facing. Call us to customize this class with your own dates, times and location. Institute of Information Technology instructors can teach your team at our location or at yours. Develop a working knowledge of routing, switching, network applications, protocols, and services. Study with an instructor in the classroom and access expert content online at any time. Practice what you learn on both real equipment and CISCO Packet Tracer, a network configuration simulation tool. Get immediate feedback on your work through built-in quizzes and tests. Prepare for the workplace with collaborative projects and presentations. 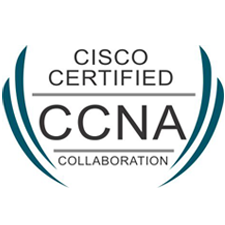 Connect with the global CISCO Networking Academy community. Describe network fundamentals and build simple LANs. Expand small to medium sized networks with WAN connectivity. Understand foundational knowledge of network layers 1-3 for core routing and switching implementation and other advanced technologies. Learn about wireless controllers, access points and network functions of firewalls. Operate a medium-sized LAN with multiple switches supporting VLANs, switch stacking, trucking, spanning tree protocols and chassis aggregation. Availability: CISCO Exams are delivered across the world through its Authorized Test Partner, PearsonVUE. 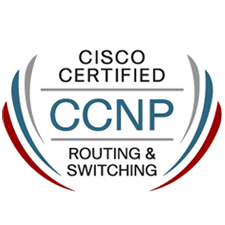 The CISCO CCNA Routing and Switching curriculum builds the skills you need to get hired and succeed in jobs related to networking computers, devices, and things. 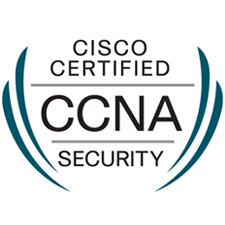 Whether you’re preparing for your first job or specializing with more study, CCNA is a great foundation. Career pathways include: network technician, support engineer, network administrator, network designer, network engineer, and more. We are trying to become the World's #1 Institute. Our cisco instructor is one of only 511 triple cisco CCIE certified people in the world (that's fewer than one person in 14 million). Come learn from the best!